Will 2014 be a year of change? THE CLOCK IS TICKING not only for the festive New Year celebrations but also for changes expected in Malta in 2014. Malta, the small island nation in the heart of the Mediterranean, appears to be undergoing a major shift in its focus towards the film industry. Following a change in government last March, the new film industry minister announced plans to introduce a new co-production film fund which is expected to consist of at least 1m Euros. The minister is also implementing an increased cash incentive of up to 25% for international film productions. Also publicly announced by the ministry are plans to re-lease government land that currently houses the famous water tanks (These plans remain vague at the moment pending the outcome of a court case). The ministry also plans to steer the construction of the island's first film sound stage in a joint venture with the private sector. It has also promised to make government departments more film-friendly. Also, a new film commissioner, Mr. Engelbert Grech, has been appointed as from this month to replace Mr Peter Busuttil. Films shot in Malta include "Troy", "Gladiator" and "Munich", the latter depicting seven countries in the small island that has a population of only 400,000. Malta's size has for decades been the excuse for its limited growth in terms of local film infrastructure and limited crews. But its local crew base has gradually increased in both numbers and experience, particularly between 2005 and 2011 when the island reached its peak in hosting international filming. Unfortunately a slowdown in Malta over the last couple years have compelled some experienced crew members to accept full-time jobs outside the film industry, as a consequence reducing the current pool of talented crew. Also, one of the two equipment houses, both joint ventures with Italian rental houses, closed down last October. 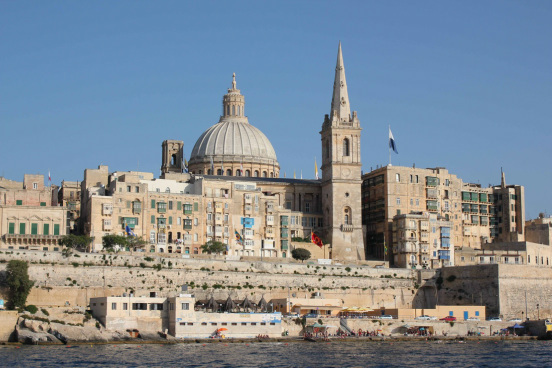 In 2014 Malta expects to host two feature film productions. One should be mindful of the local old adage: "When a film starts prepping on the island, completes shooting and leaves the island, only then can we say that a film has come to Malta!". Malta is embarking on a new government plan to foster both the local film production and the service industry. The island's fledgling industry hopes to soon see brighter days ahead.